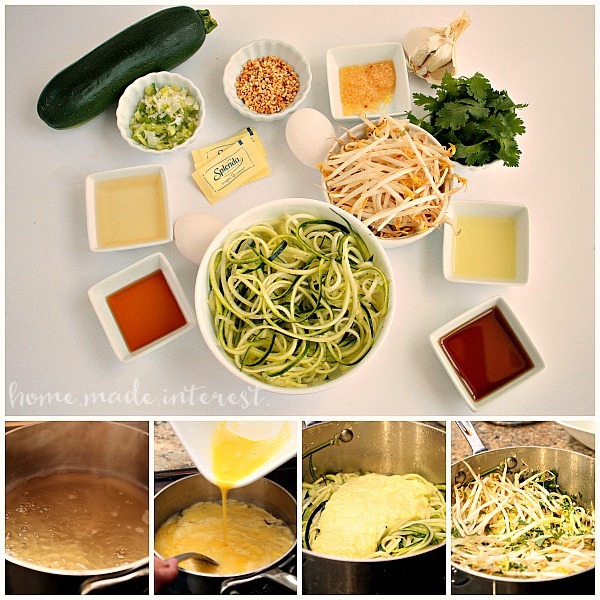 Zucchini Pad Thai - Home. Made. Interest. We participated in an Influencer Activation on behalf of Influence Central for the SPLENDA® Brand. We received product samples to facilitate our review as well as a promotional item to thank us for our participation. All opinions and reviews are our own. 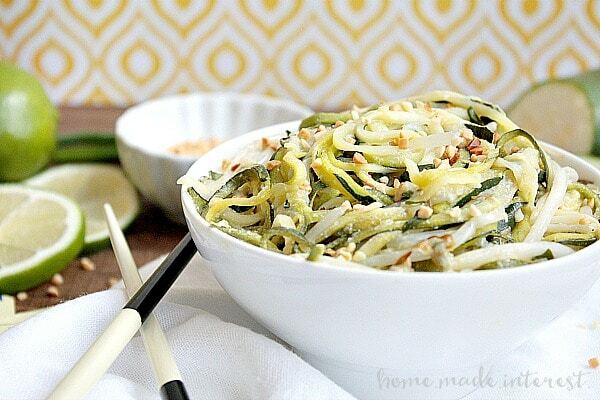 This low carb Zucchini Pad Thai is gluten-free and uses zucchini “zoodles” in place of noodle. It’s a great substitute for traditional pad thai! We had so much fun last weekend. 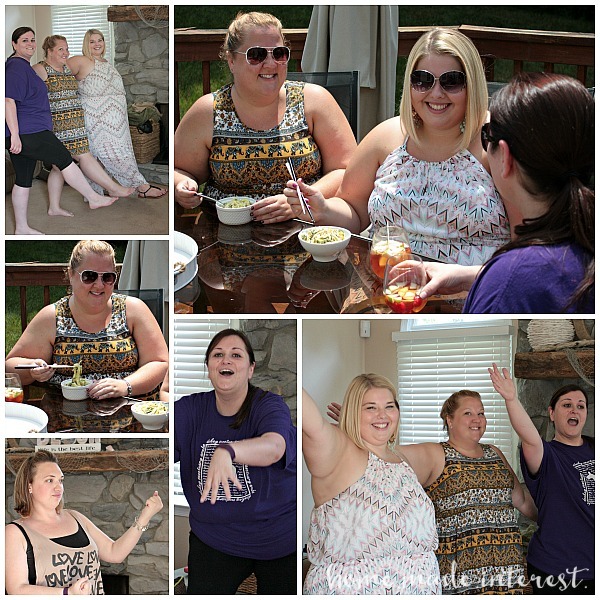 Melinda and I got together with some of our girlfriends and we had a girls’ day! The sun was shining, dad was watching the kids, and got to sit outside on the deck and gossip over lunch. If you follow us on Instagram you may have already seen what came next. We exercised, well danced really, but trust me we worked up a sweat! I know it sounds a little crazy but it’s summer and we’re all doing our best to get up and moving more often. We’re also trying to make better decisions about what we’re eating, including cutting back on added sugar. 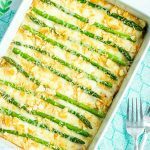 I know you can’t always tell it from the delicious recipes we share here on the blog but Melinda and I actually eat low carb most of the time. It just makes us feel better. 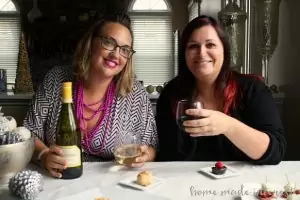 When the girls decided to get together over the weekend Melinda and I went in search of a new recipe to try. 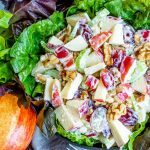 We’re always looking for simple recipes that can be part of a balanced lifestyle, and we found really good ones at SweetSwaps.com. 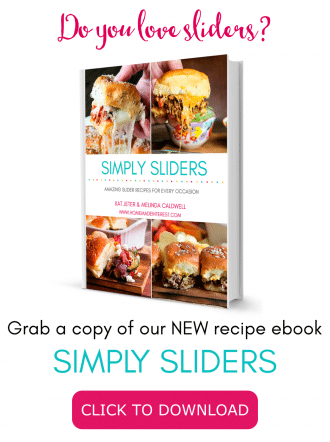 SWEET SWAPS™ recipes are made using SPLENDA®. The SPLENDA®Brand offers lots of way to cut back on added sugar by swapping out full sugar for SPLENDA® Sweetener Products. When I saw the Zucchini Pad Thai recipe I said, “That’s the one!”. Pad Thai is one of those dishes that I really miss. I love the noodles and the sweet sauce and peanuts but up until now I hadn’t found a substitute for all of those tastes and textures. 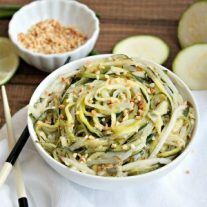 The SWEET SWAPS™ recipe substituted the usual noodles in Pad Thai for zucchini noodles, or zoodles. This was the first time making them for me and I loved them! We used a spiralizer to turn a couple of fresh zucchini into a big bowl full of zoodles and then we made a sauce with rice wine vinegar, fish sauce, lime juice, SPLENDA®, and eggs. We sauteed the zoodles in garlic and peanut oil then added the sauce, scallions, cilantro, and bean sprouts. Do you love bean sprouts as much as I do? I could eat them all day! We garnished them with some chopped peanuts before serving. Everyone agreed it was an awesome substitute for Pad Thai. Just the right amount of sweetness and those zucchini noodles were amazing. The fun didn’t stop there though. Melinda had been telling us all about her new daily workout routine. Rather than the boring old workout that all of us are tired of, she’s been dancing to work up a sweat (Be sure to check with your healthcare provider before you begin any physical activity. Talk to your doctor if you think you may have a medical condition that may affect any type of exercise you want to do.). We all gave it a try and it was so much fun! It hardly seems like working out, especially when you’re trying to keep up with all of those moves, lol! I’m going to have to keep practicing…We all laughed, and had a great time though. Not your usual girls day, but super-fun! 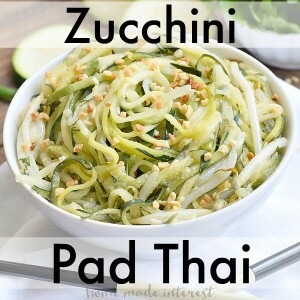 This zucchini pad thai low carb, gluten-free. Made with SPLENDA® it has no sugar, and the zucchini noodles (zoodles) are made using a spiralizer. It is a great substitute for traditional pad thai! In a medium saucepan, combine rice vinegar, fish sauce, lime juice, and SPLENDA® No Calorie Sweetener, Granulated and bring to a boil. In a small bowl beat eggs. 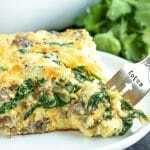 Pour egg over boiling sauce and allow to cook, breaking up with a fork until just done. Remove from heat and set aside in a bowl. Wipe saucepan clean. In saucepan, sauté peanut oil and garlic. Add zucchini. Sauté for two minutes on medium heat. Stir in scallions. Add sauce, cilantro, and bean sprouts. Sauté on medium heat for three more minutes. Garnish with a teaspoon of chopped peanuts. What tricks do you use for reducing sugar in your favorite recipes? This looks so good plus I don’t have to feel bad about eating it! Yum! Thanks for sharing! I just ate Pad Thai for the first time and I loved it. But this looks amazing and low calorie. I applaud your efforts to eat and live more heath. I wish you luck. Thank you :). 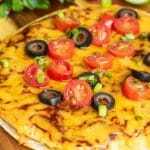 It isn’t always easy but I love recipes that this that help me sub out a few ingredients so i can still enjoy my favorites. I love this low carb pad thai! Zoodles are a summer favorite of mine – I feel like they make eating healthy easy. I’m totally addicted to zoodles now. I want to spiralize everything! This looks delicious! I love pad thai and am always looking for recipes to use up all the zucchini I have in the summer. Can’t wait to try this recipe!! Pad Thai is one of my favorites and want to make this but what can I sub for the artificial sweeter? You can use sugar or I bet honey would be good too! 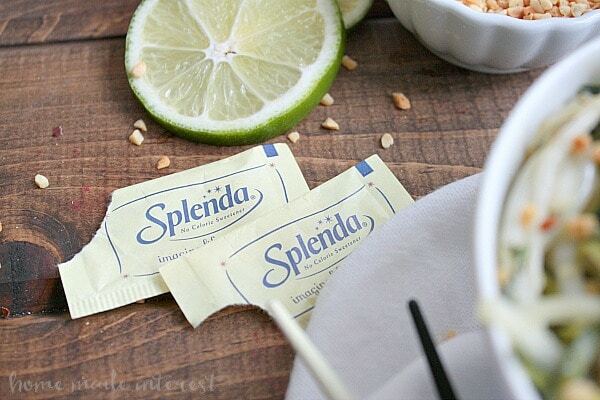 I love this idea – not sold on the Splenda, but besides that, it looks delicious! Hubby just got me a julienne peeler, too, so I think I’ll be trying this out soon! Sub out the Splenda for another sweetener. I absolutely love Pad Thai…I could eat bucket loads of it….lol. 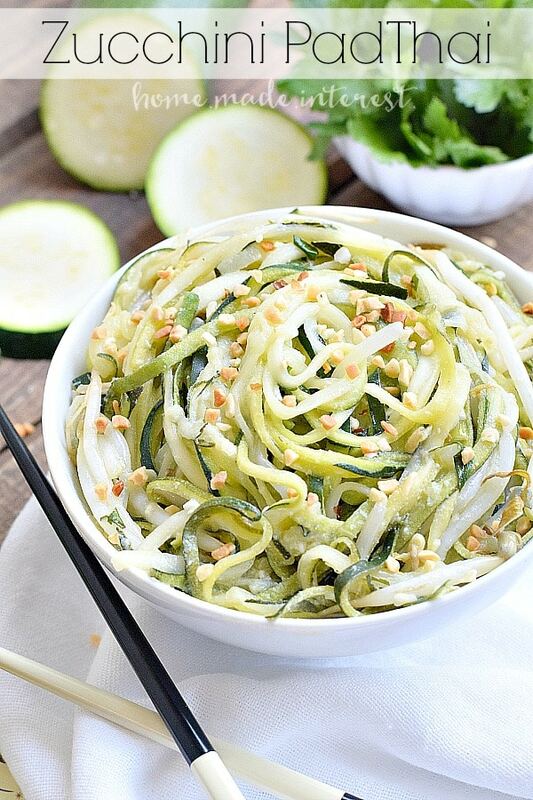 Love the idea of having zucchini noodles instead of normal noodles. A great way of cutting down on those pesky carbs whilst keeping things super yummy!